A finished basement design can add significant value to your home. When working with a home improvement contractor, you can use your basement as a blank canvas and turn it into whatever you want it to be. Whether you’re looking to add a bathroom or create an area for relaxing, basement finish cost can remain low when working with an experienced basement contractor. This article will discuss four common benefits of having a finished basement. Additional bedroom: By finishing your basement, you’ll be able to add one or even more additional bedrooms in the finished basement space. While there are some qualifications for a room to be considered a bedroom, like having a closet space and egress, the addition of a bedroom can provide you more space for your family. Additionally, it can help you appeal to a larger range of buyers when it comes time to sell. Additional bathroom: A house with more than one bathroom can be extremely beneficial. Whether you’re tired of your family fighting over the one bathroom or looking to attract potential buyers, adding a bathroom to your home can prove to be valuable. With that in mind, the functionality an additional bathroom offers to homeowners can be an invaluable investment. If you don’t know where to start, a home improvement contractor can help choose the appropriate materials and fixtures. Allowed additions: If you’re looking to build a room addition but zoning codes won’t allow you to add on space to your current structure, then basement finishing can be a great alternative. Oftentimes, homeowners find themselves unable to expand their homes because they’ll be too close to the neighbors. Additionally, if the home is already two stories, expanding upwards may also not be an option. Considering this, utilizing basement space may be very valuable. Not only would this allow you to add functional space to your home, but you’d also comply with zoning restrictions. Usable space: While some basements remain dark, dreary, and overall unusable, a finished basement provides an area full of possibilities. Whether you decide to transform the area into a kids’ play area, recreation room, craft room, or an organized storage space, basement remodeling can provide many advantages. Not only do you have a new area to use, but it’s also a pleasant bonus to potential buyers. 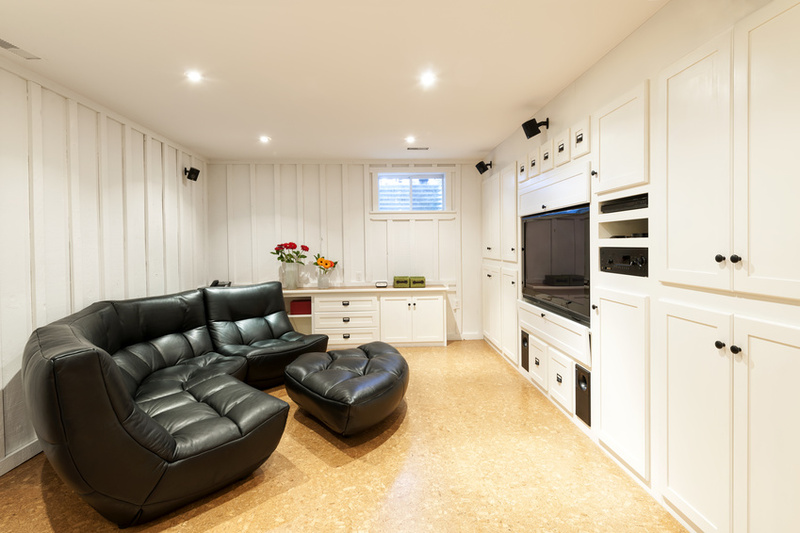 A finished basement can add remarkable value to your home. In fact, the typical basement remodel can have up to a 70% return on initial investment, according to Home Advisor. With that in mind, it’s undeniable that people can benefit immensely from working with a home improvement contractor to get the basement of their dreams — and you can too!